The Monkees are back with a new reunion tour but it looks a lot different then their trek in 2011. 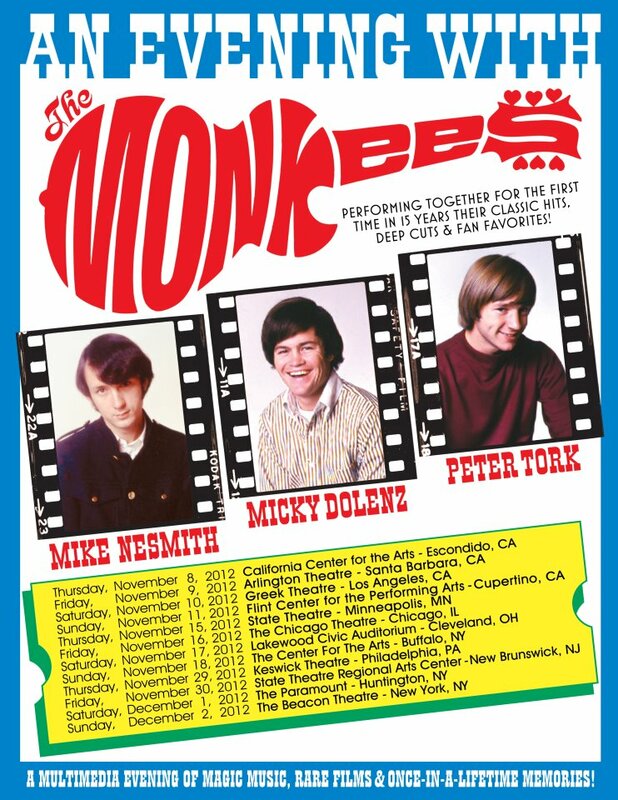 First, Davy Jones passed away earlier this year, but the big news for fans is the return of Michael Nesmith who hasn't been on a full tour since the breakup of the group in 1971. The music for the evening was performed in a general chronological order, mixing songs from a genera era of the group (i.e. The Monkees and More of the Monkees) through a five song set from their cult classic movie Head. The last two songs of the main set and the two song encore then dipped back through the years. According to reviews, there were references to Jones throughout the night along with pictures and videos projected above the stage. When the band played Daydream Believer, they said they discussed who should sing and decided to let the fans take it. 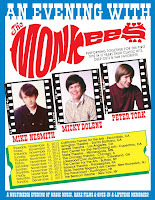 Still, fans may have left a bit let down as, even though they received a 26-song show, there were still a number of major songs from the band's career that were omitted including The Theme From the Monkees, A Little Bit Me A Little Bit You, Valleri and D.W. Washburn.